Science has proven that music can greatly impact our emotional state and can have an affect on us physically. Finding the right song, at the right time can heavily impact our productive and performance. Bose is a company that aims to use science to make our lives and experiences with music better. However, within the past decade the music industry has been disrupted, creating friction between you and your music, making it more difficult for you to find music that suits your needs. Advancements in neurotechnology and BCMI (brain computer music interfacing) are leading to more innovative experiences. The way in which we listen and interact with our music continues to change, and we're moving further away from physical interfaces. 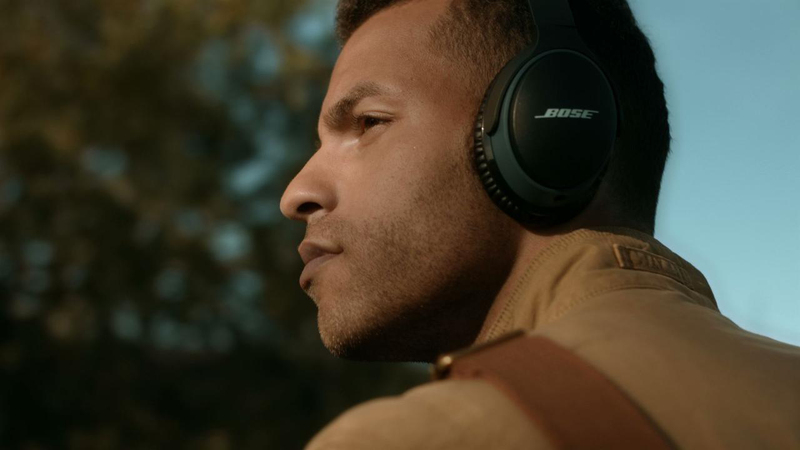 Bose has always been an innovative company and now it's time to continue that legacy. By creating a new product that uses neurotechnology to enhance our musical experiences, removing potential disruption. 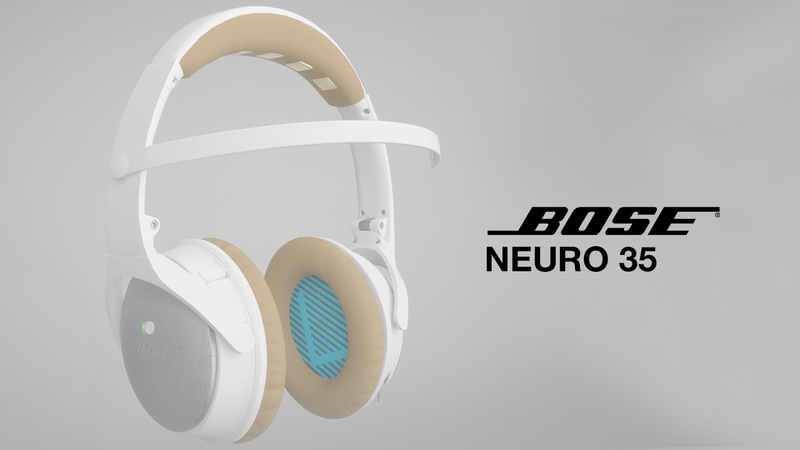 Bose Neuro 35 (BN35) is the future of how we experience our music. These headphones takes your musical experience to new heights through brain power with the help of advancements in neuro-technology. The headphones are embedded with brainwave monitoring EEG sensors chips. The chips are placed on the upper and detachable headband. Once the user places the band over their forehead, the sensors can measure the electrical activity generated by the synchronized activity of thousands of neurons. This would essentially measure your focus state to determine which music would suit you best. Through an open API partnership, Bose will team up with Spotify and Pandora to develop sync compatibilities with Bose Neuro 35 headphones. Once you activate the NeuroControl option you will be able to control your music solely based on your mood. This will be curated through how songs are tagged in your playlists or listening pattern, in which Spotify and Pandora have developed over time for their users. This new extension will place Bose in the position of playing within the innovative tech space, as well as continuing the lifestyle approach from the past. Giving people control and connecting them with experiences rather than just sound. How can become more productive? Our team started to explore what could help people become more productive with their daily tasks. One of our findings, was that music can have either positive or negative impact on someones productivity. We got to this point, by researching the relationship between the brain and music. Our findings showed us that music can elevate your mood, create stress, and help your memory amongst other things. This led us to one thought, which was that music is emotion. From that pillar, we begun to explore new technology, in order to see what was possible. We came across, neurotech headbands that could measure your focus. This research proved to be very variable to our one thought. We came to the conclusion that music and neurotechnology goes hand in hand. We begun to seek out possible brands that would be able to produce such a product and we came across Bose, who has an history of innovation. Through Bose we were able to create a well thought out product with integrations that could change the way we experience music. In 1975, Dr. Amar Bose had the idea to create sound quality headphones, so that people can focus and enjoy their music without begin disrupted by the world around them. That one idea changed the way we have experienced our music for the past four decades. We believe that the Bose Neuro35 headphones could not only have a strong KPI for Bose, based on the lack of innovation within the headphones industry, but could change the landscape for how we define our music. The result of this project was becoming one of the five teams to win the AKQA Future Lion in 2017.